191,704 page views over twelve months, updated daily. 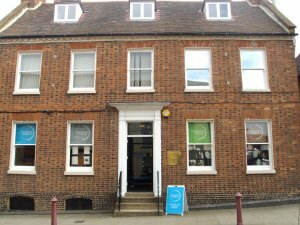 Daventry Museum is located on the ground floor of the Town Council Offices at 3 New Street, Daventry, NN11 4BT. The museum is operated by Daventry Town Council and supported by a team of volunteers. Daventry museum is an accredited museum in the centre of Daventry, providing a friendly and welcoming space for people to share stories and learn about Daventry's rich past. Permanent displays feature the town's ancient charters, weights and measures, mayoral regalia, as well as artefacts relating to the BBCs history on Borough Hill. Alongside permanent displays, visitors will be able to see three temporary exhibitions throughout the year. The museum is family friendly and children can interact with museum objects in the 'Explorer Corner' and do fun activities such as colouring in, object hunts and quizzes. Open: 9:30 – 13:30 Tuesday to Friday and the first Saturday of the month 10:00 - 16:00. @southbrook2016 Thank you so much! We love the town but especially in spring! Happy bank holiday weekend from all the team at DTC! We are crossing our fingers for beautiful sunny weather! XHTML 1.0 validated. WCAG compliant. Page generated in 0.0533 seconds.